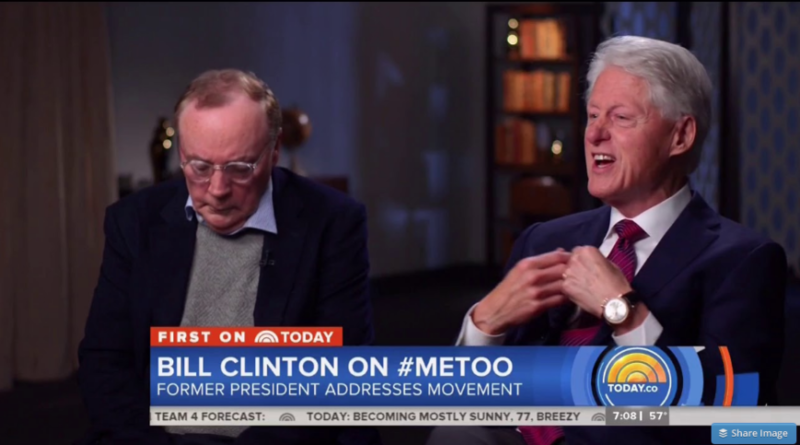 “Today” took offense to former president Bill Clinton’s remarks about his interview with NBC News reporter Craig Melvin saying that Clinton was “making false allegations” about Melvin. Clinton has received a lot of criticism for the interview with many people–including fellow liberals calling his remarks “tone-deaf” for his response to questions about Monica Lewinsky and the #MeToo movement. During an appearance on The Late Show with Stephen Colbert, Clinton admitted that the interview was not his “finest hour,” and suggested that his words were taken out of context because NBC had to “distill” the interview. Clinton said that Melvin’s questions began with the “assertion” that he had never apologized to Lewinsky and that Melvin “aggressively” said he had never apologized. “Today” host Savannah Guthrie said it was Clinton who was making “false accusations” against Melvin. 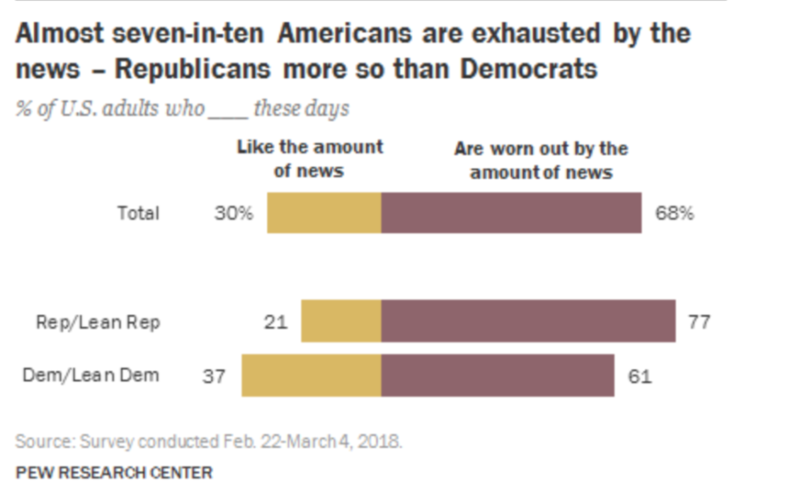 “The former president, Bill Clinton, expressing some regret over his controversial remarks about Monica Lewinsky here on ‘Today,’ but still making false allegations about that interview with Craig,” Guthrie said. “It must be a little bit surreal for you to hear the former president talking about you, but I think the tape speaks for itself. You, of course, did not assert that he never apologized, you asked whether he had apologized.” Guthrie said to Melvin. 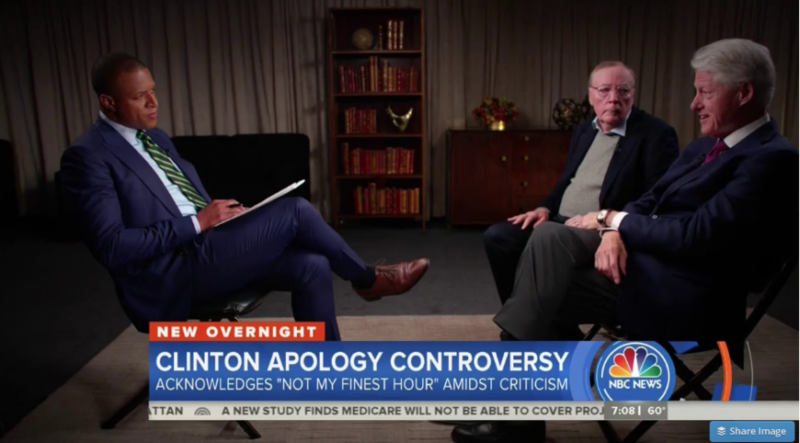 Melvin told viewers that the entire uncut interview with Clinton and author James Patterson has been posted to the ”Today” website and encouraged them to view it.